Released: 6th September 2010 (previously published in hardback: 4th Jan 2010). Official synopsis: "The clock is ticking for Sam Temple and the kids of Perdido Beach but it's not the big one-five that they face now; it's starvation that threatens the FAYZ. In an abandoned mineshaft a faceless animal lurks, pulling the strings, toying with human and mutant alike. And he's hungry - hungry in the darkness. An uneasy calm has settled over Perdido Beach. But soon, fear explodes into desperation as starvation sets in and the mob look to place blame. For the 'normals' the buck must stop somewhere: with the 'freaks'. More and more kids are developing strange powers and, just as frighteningly, so are the animals in the FAYZ: talking coyotes, swimming bats and deadly worms with razor-sharp teeth are just the beginning. For Sam Temple the strain of leadership is beginning to show and he's got more than just dwindling rations and in-fighting to worry about - Caine is back with the psychotic whiphand, Drake, by his side. And in the background lies the greatest danger of all - and he too needs to be fed." I read the first book in Michael Grant's Gone series, also titled Gone, a week or so ago, and found it to be a pretty mixed bag. This time however, I could not of been further in this books grip. It is, quite frankly, brilliant! 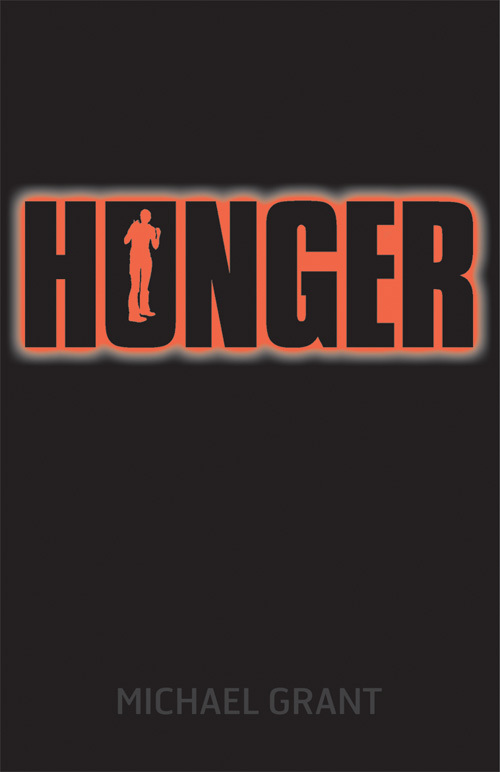 Hunger takes place 3 months after the climatic events of Gone. It's darker, and definitely a lot deeper than Hunger. I feel that I connected more with the characters and events in this one. As the title would suggest, this book focuses around food, the problems it causes when it's in short supply - having been shut off from the outside world, there is no way to get food in. Kids are starving, and with kids being, typically kids, they are lazy and would rather wait for someone else to come along and sort it out. I really enjoyed this book. I thought the writing had progressed immensely, the plot was fantastic, it just hooked me from the start. I like that its from several different points of view, it's interesting to learn more about the characters other than just the main set. The opening scene is possibly my favourite scene of the series so far - this book certainly opens with a big bang. 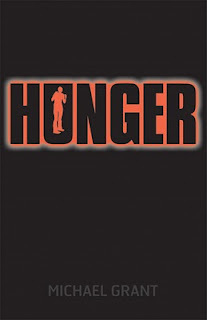 The twists throughout Hunger are fantastic - both in pace and plot. Grant has certainly set things up very nicely for the third book in the series, Lies which comes out today (6th September)! I can't wait to see what happens next to the FAYZ - thankfully I don't have to wait too long as it's next on my reading pile! I cannot recommend this series enough. Although personally, I didn't enjoy Gone too much, this book more than makes up for that. And with a fourth book, Plague out next year, now is just as good a time as any to get into this series! Thank you to Jenny at Egmont for my copy! You're tempting me as well. I might have to give Gone another chance.